Mentoring PR’s Generation-Next Can Produce Superstars! In my six plus years in the PR “world” a number of friends have shared their Devil Wears Prada like horror stories about the competitive nature of this industry among their colleagues and managers. For these friends, sharing media contacts is taboo, asking questions of your boss/team lead to make sure you understand an assignment is blasphemy and supporting the success of your team mates is unheard of. With that kind of thought process who would want to build their career in this field? For me, this industry has been the polar opposite experience. I have been lucky enough to have to find a love for public relations in large part to my mentors and managers who took joy in my successes and supported my career “wins” as if they were their own. Following my graduation from college I knew I wanted to make my way in the communications field. I never thought about public relations but after literally joking and laughing my way through an interview I was hired by a mid-size agency in New York City. On my first day I was excited to meet the people I would work with and was eager to LEARN! Anne taught me the importance of supporting your team members in their career because their success is your success. I kept this in mind when taking on my first new hire, a recent graduate of Indiana University with an impressive resume and a slew of internships. When Kim joined my team I was truly invested in her success – something she had not previously experienced. I wanted nothing more than for her to be the BEST “PR” girl she could be. Instead of criticizing or talking down, I put emphasis on the areas she was outstanding in and gave constructive feedback on areas in which she could improve. Today Kim is amazingly successful and truly happy in her work. Having a mentor who is truly invested in your career and achievements can make all the difference in the success you have in the public relations field. If PR is going to be a truly successful marketing service, senior executives must take the time to groom the next generation. PR “newbies” WANT to learn – believe me I’ve been there! – managers should take this drive as the opportunity to bring out the next great PR superstar! When your employees succeed, you succeed. As a “manager” I know this first hand and it has made MY career that much more rewarding. 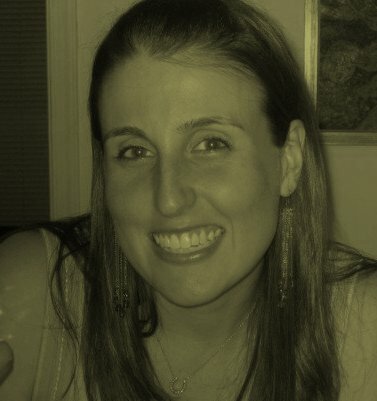 Kristen Massaro is the Director of Social Media, Communications for STC Associates in New York City. Having spent six years in the communications and PR world, Kristen has a passion for non-profit public relations and is currently in the process of starting her own non-profit, the Fearless Heart Fund, which was inspired by her 2 year old goddaughter who received a heart transplant in 2008. A born and raised NYer, Kristen has a love for roller coasters, the New York Yankees and her three year old dog, Alfie.